Tom 'n' Team can re-roof your property for a reasonable cost. Contact us today for a free inspection and quote. Tom 'n' Team are experts in low pitch roofing solutions. 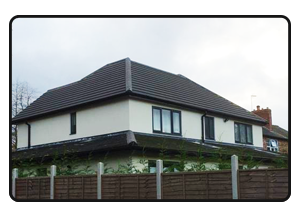 We can fit a low pitch roof to your new extension or outer building. From re-pointing to building a garden wall, Tom 'n' Team can do it all. We're experts at sealing your home. It's important to keep your roof in tact. Tom 'n' Team can take care of your roofing repairs. 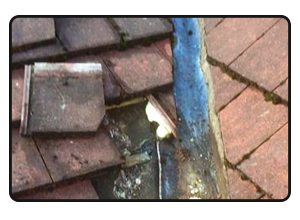 If your roof looks like this then contact us. If you own a house that needs some upgrades or you have just bought a new home and are eager to put your own stamp on it then please take my advice, the price of a new roof or repair on a roof is a tiny fraction compared to what the house and all its accessories are worth and people often want the cheapest price possible because it is easy to take your roof for granted. Our advice is get the best quality products and workmanship because everything else in the house is worthless without your roof. If you are hoping that damp patch will disappear now you have painted it, it will not, the rain keeps falling and roof is still broke. Once you have had Tom ‘n’ Team to create a solid roof over your head, now you are ready to get the decorating done and buy that new couch. Tom ‘n’ Team are specialists in roof repairs. 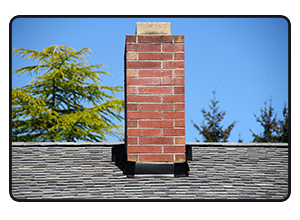 If your roof is in need of some repairs then do not hesitate to contact us today. The longer you leave a damaged roof, the more likely it is to cause long lasting water and structural damage. If you’re unsure about what repairs your roof needs then Tom ‘n’ Team can consult you, so if you’re experiencing damp patches get us out today and we will fix the problem. Many tradesmen will say we’re one of the best without having anything to back it up, that’s not the case with Tom ‘n’ Team. We have been building and repairing roofs in the South Manchester area for over 20 years and as a result have built up quite the reputation. Many of our customers have asked us to come back to complete other jobs or have recommended us to friends and family. We have a 5 star rating on RatedPeople.com and a 9.7 out of 10 rating on Checkatrade.com. 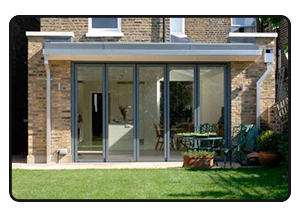 All work carried out by Tom ‘n’ Team is guaranteed for up to 10 years and we’re registered, insured and approved. From full re-roofs to loft insulation and even single tile replacement Tom ‘n’ Team can cover it all. There is no job too big or too small for us and we treat each job with the same level of professionalism. Is It Time You Got Your Roof Looked At?